Nowadays, it is very important for the auto industry to incorporate green practices. When auto repair shops limit the environmental footprint they leave, more and more consumers will seek them. It is a new trend that sets them apart from the competition. This Earth Day, many businesses, especially auto repair shops, might want to start caring more for nature. Going green is not just good for the earth, but also for business. Being able to advertise your business as environment-friendly will surely make consumers interested in doing business with you. 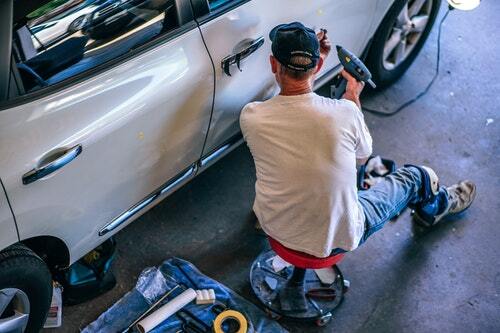 Here are some ways how can auto repair shops be better for the earth and increase your market and revenue! Avoid using liquid cleaners that can be harmful to the environment. If you really need to use them, minimize it as much as possible or use dry clean-up practices instead. Using an oil mop or a squeegee with a dustpan can greatly reduce the impact of large spills. Stop using kitty litter and other absorbent materials to clean up large oils because they are just thrown out with the normal garbage. Auto repair shops will always have toxic runoffs given the materials and nature of business. But creating preventative measures to ensure these toxins won’t enter storm drains goes a long way. Recycling paper and plastic containers used in your daily business will make a huge difference in how much waste your shop is producing. Going green means eliminating the use of paper. Use online records for your customers. It’s not only environment-friendly, but also easier to access. Keeping energy efficient lighting is a low-cost, long term solution to help your business get going in a green direction. You can also install timers and motion sensors for your lights.